Ursäkta, den här sidan finns bara på engelska. Du är välkommen att kontakta oss om du har några frågor om innehållet! Sorkfjord Performance works in the form of the Taiwanese glove puppet tradition budaxi. We arrange workshops and lectures in glove puppetry and related subjects. A news clip featuring Hsiao Hsi Yuan Puppet Theatre and Sorkfjord Performance, from the Taiwanese TV show Taiwan Record recorded during our 2013 research trip to Taiwan. 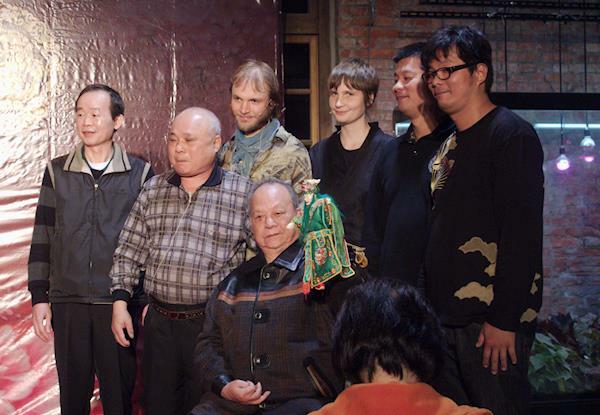 Sorkfjord Performance team with members of the Hsiao Hsi Yuan Puppet Theatre in Taiwan during the research trip. Standing from he left: Unknown name, unknown name, Alexander Wireen, Julia Bondesson, unknown name, Master Cho Wenchen. Sitting Master Hsu Wang. Sorkfjord Performance was initiated in 2013 as a research project with support from The Royal Institute of Art, Stockholm. Thanks to generous guidance from Elisabeth Beier-Meschke, Michael Meschke, Wenfen Chen Malmqvist, Göran Malmqvist, Hsinmei Lin and the Hsiao Hsi Yuan Puppet Theatre with families the project got a flying start when we were able to study under Master Hsu Wang and Master Cho Wenchen of Hsiao Hsi Yuan Puppet Theatre in Taipei during the winter 2013. Following the study trip to Taiwan, during which we also manufactured several glove puppets and worked on a performance, we have worked with building and refining a wooden stage for glove puppet performances in a Taiwanese and Chinese tradition. During the winter 2015/2016 the stage was finished and presented during a lecture and performance at The Royal Institute of Art, Stockholm. After the lecture Sorkfjord Performance held a full day workshop in glove puppet playing technique in a Taiwanese tradition. What is a glove puppet? Hand puppet is a broad term meaning any puppet that is worn on the hand, while glove puppet designates a particular type of hand puppet originating in southern China during the 17th century. Please see our page about the puppets for more info. The string puppet Jock Sorkfjord, made by Julia Bondesson. 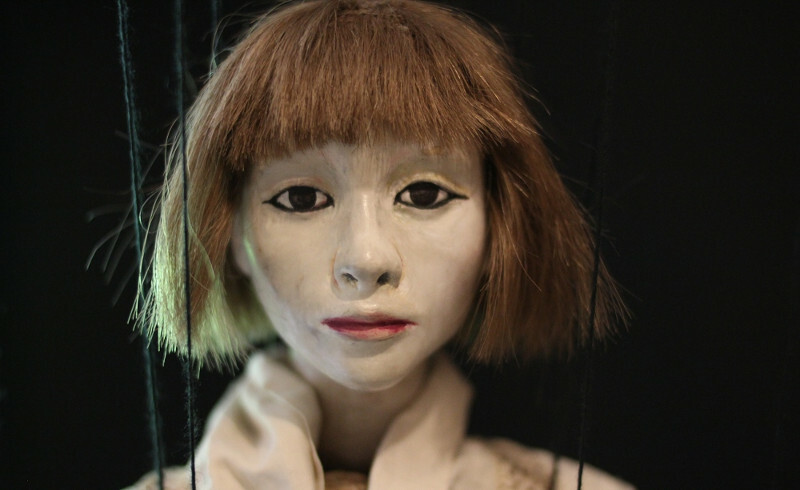 Sorkfjord Performance got its name from Julia Bondesson's first string puppet named Jock Sorkfjord. Sorkfjord has so far lived a secluded life, being utilized for playing practice and recreation during trips and in the Sorkfjord Building. Why do you have a hand pointing straight upwards as logotype? When playing with glove puppets, one of the most important things to remember is to always keep the head straight. 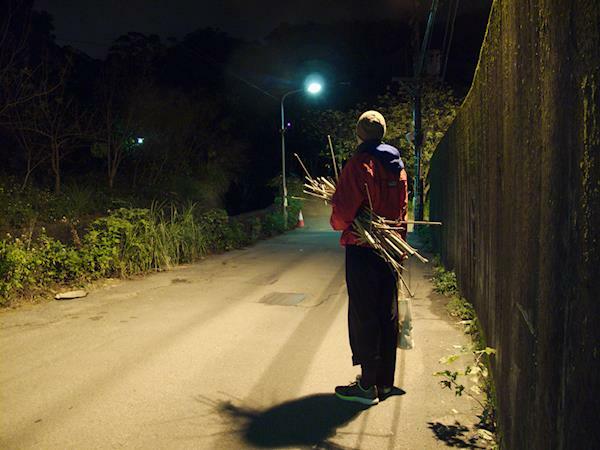 Nightly bamboo harvest for puppets in Tapei, Taiwan. We choose public land transport when possible. For example we did our whole 2013 research trip to Taiwan from Sweden via Finland, Russia, China, Japan and back only with one plane trip (from Japan to Taiwan due to visa restrictions). The Sorkfjord Roff-en company car runs on 100% biogas since 2016.